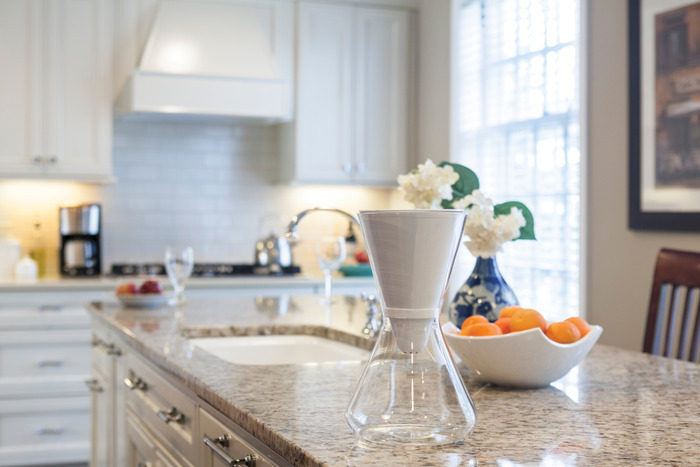 In a regulatory filing today SOMA Water revealed they have raised $2.4M in funding for their beautiful water filtration system. Think of it like Brita water filtration, but presented in a uniquely designed glass carafe you’d be proud to showcase on your desk. The product includes a subscription service to replace their filters every 2 months. The company originally raised $147K in a successful Kickstarter campaign that ran from December 4, 2011 to January 11, 2013. The filing lists Steve Anderson of Baseline Ventures and Rohan Oza, Chief Marketing Office of the Coca Cola Company and founder of Idea Merchants Capital as investors. According to the company’s AngelList profile additional investors include Rick Marini, CEO of BranchOut, and Kanyi Maqubela of Collaborative Fund. Update: SOMA Water declined to comment for this story, but we have learned via a post in TechCrunch on July 16th confirming the round was lead by Baseline Ventures. New information from the post states the found was co-lead by Forerunner Ventures. The company is cofounded by Mike Del Ponte and Ido Leffler. According to the SOMA Water website you can still sign up between now and July 31st to get access to their first run of product.